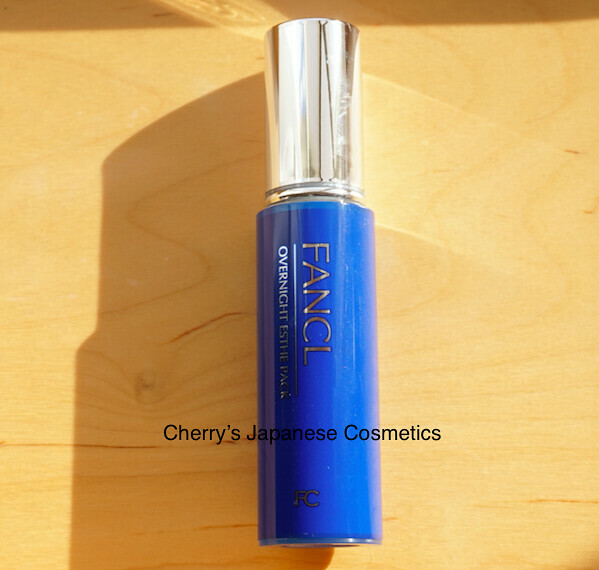 I (Cherry) am a big fan of this Fancl Overnight Esthe Pack, what is a night cream. It was one of the items in limited kit of AW 2016. I also buy this bottle only, they often sell those items included in the limited kit, as seasonal limited items, 2-3 months later. I like heavier layer 🙂 And I massage QUITE softly on my face, and sleep. In my experience, I often feel something sting when I use gels like this one, but no pain with this item. Anyhow, in morning, my skin turns a little bit softer. I feel this is less oily product. If you are an oil prone, it may be not pretty bad product for you. This product is not containing perfume, ethanol/ alcohol, nor oil. If you need some kind of facial oils, please apply like Albion’s Herbal Oil Gold or Three’s Conditioning SQ Oil too. Kanebo Twany Century The Essence Veil N is perfect mach with Twany Century the Powder foundation!